Pain in lower back when doing lower body workouts? I’ve been working out consistently for years(mostly FB!) but I injured my knee at the beginning of this year(over use), stopped working out for a while, and now I’m slowly improving. I’ve just recently started lifting for my lower body again, but my lower back is hurting now? My form is all correct, and if I go any lighter I will barely feel a thing! These elite foods are packed with antioxidants, vitamins, minerals, and polyphenols. 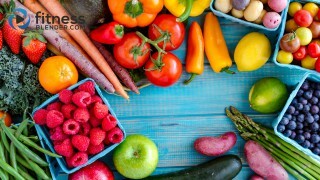 Eating these foods has been shown to prolong life, protect our body from many chronic diseases, and optimize our health.